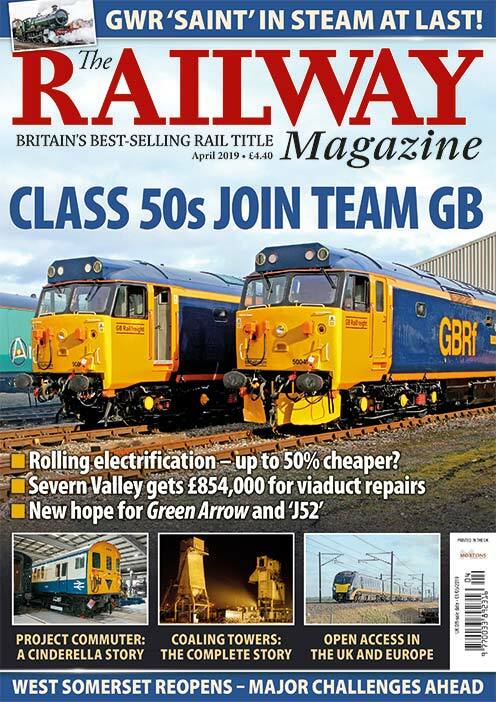 This month, Keith Farr looks at the performance of the ‘WT’ class 2-6-4 tank locos that were built at Derby Works for the Northern Counties Committee. In ‘Tank Engines Triumphant’ (March 2017), we examined the highly successful LMS and BR 2-6-4Ts designed under Fowler, Stanier, Fairburn and Riddles. Another member of the family, the Derby-designed ‘WT’ class 2-6-4Ts, built for the LMS Northern Counties Committee in Ulster, received just a mention. 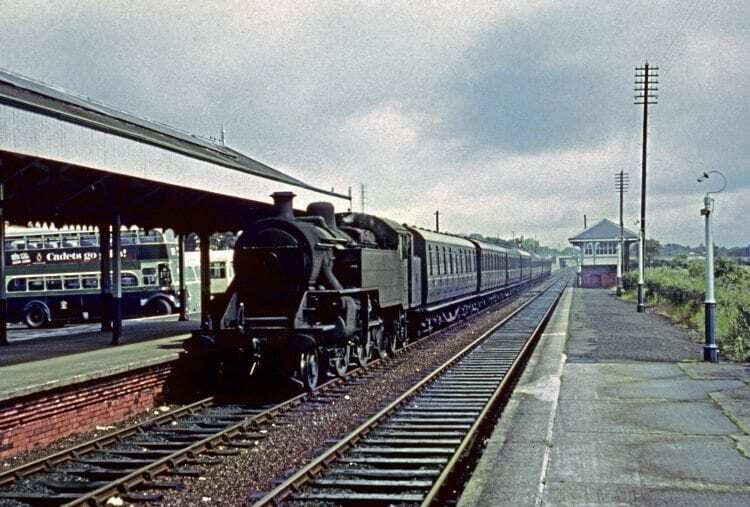 Imagine Portadown, on the Belfast to Dublin main line, in 1964, junction for the former (Irish) Great Northern’s ‘Derry Road’. 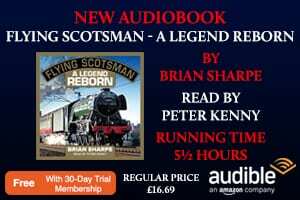 In the calm of a summer’s evening, smoke curls from the loco shed, a family of rabbits crosses the main line, and semaphore signals hint at the imminent arrival of a Dublin-bound express. 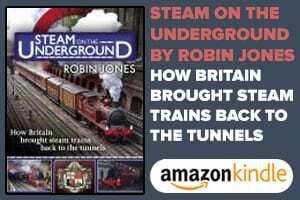 A thin, high-pitched whistle pierces the calm and a large-wheeled 2-6-4T strides in with a rake of modern corridor coaches. ‘Jeep’ 2-6-4T No. 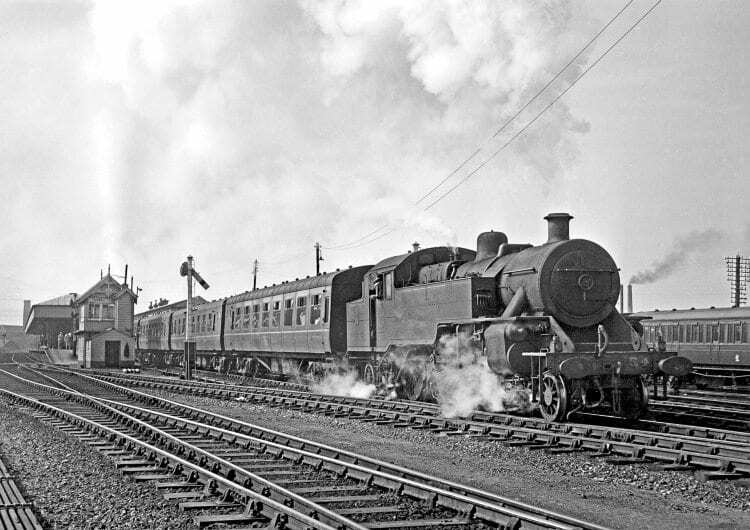 54 leaves Portadown with the 09.15 Dublin-Belfast train on September 3, 1964. With a deep Derby ‘woof’, the ‘WT’ ‘Jeep’ starts confidently, quickly gathering speed round the curves through Scarva and Poynztpass. Halting at Goraghwood, the loco takes water, and passengers change for the Warrenpoint articulated diesel unit . A brief encounter, but one made memorable as my first with steam ‘across the water’, even if it was on former GNR (Ireland) rather than NCC territory. The 2-6-4T had appeared familiar; apart from its 5ft 3in gauge, it would have seemed at home at St Pancras. Which takes us back to the origins of the LMS 2-6-4Ts, designed under the aegis of Sir Henry Fowler, and the reasons for their success. 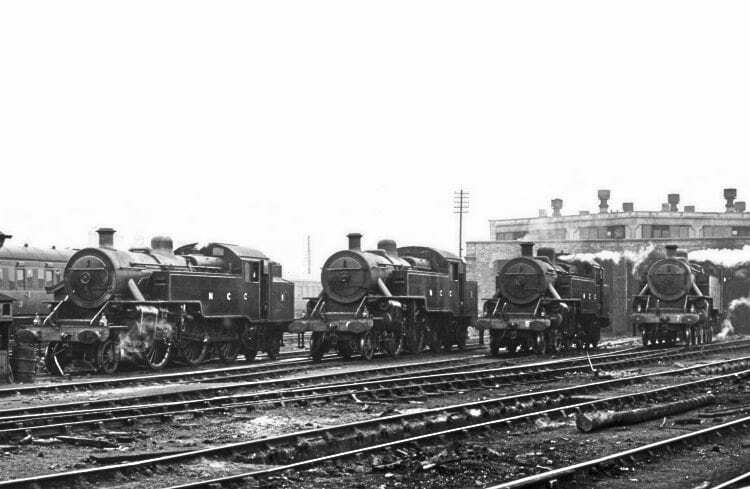 One factor was that ex-Midland Railway engineer J E Anderson, in thrall to outdated MR practices, was pre-occupied with Beyer-Garratts; so the new tank locos were not handicapped by the short-travel valves and inadequate axle-boxes that encumbered the ‘4Fs’ and the ‘2Ps’. It was the NCC Class ‘W’ 2-6-0 tender locos that were based directly on Fowler’s free-running 2-6-4Ts. 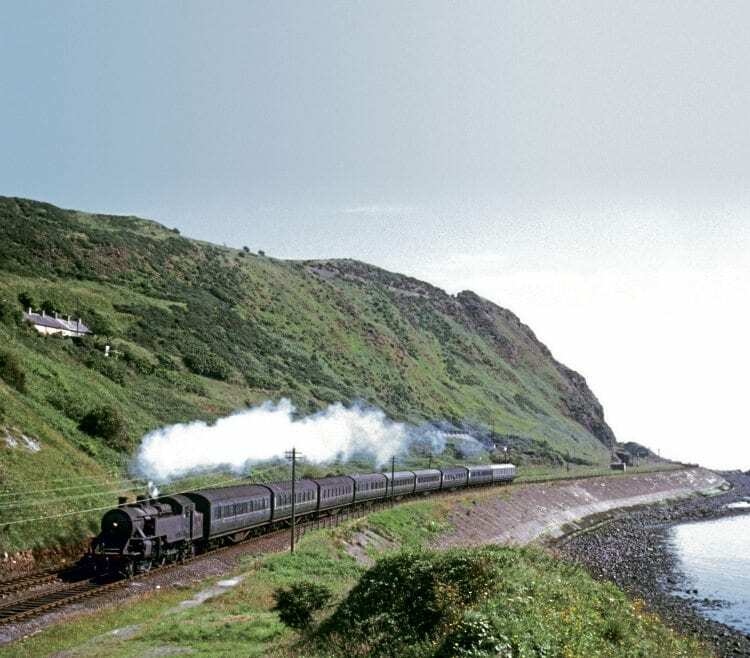 Expresses from Belfast to Portrush and Londonderry were relying on four-coupled types, trains were becoming heavier, and the new cut-off line from Whiteabbey to Mossley was graded at 1-in-76½ (see later). More power was essential and what better than a beefy Mogul based on the Derby 2-6-4T? – a concept strongly backed by the NCC manager, Major Malcolm Scott Speir. Hence the ‘W’ 2-6-0s, with the standard Midland G8S boiler, but also endowed with larger grates, top feeds and, for express work, 6ft 0in coupled wheels (see panel). Designed and built at Derby, the first, No. 90, was delivered in July 1933 and named Duke of Abercorn the following January. A further 14 were built, commemorating other dignitaries and rivers. The wheel came full circle. Major Speir left the NCC in 1941 to be succeeded as manager by another major, Frank Pope, with an LMS background. Used to the long distances of the West Coast Main Line, Major Pope was adamant that, for the short distances in Ulster, tank engines would be ideal. As tank engine versions of the Moguls, the ‘WT’ 2-6-4Ts were one step removed from the Fowler tanks, but resembled them visually except for their top feed, the gap between the running plate and the buffer beam to ease maintenance, as on the Fairburn 2-6-4Ts, and chimney and cab in the Stanier style.